Let me talk about myself for a moment. 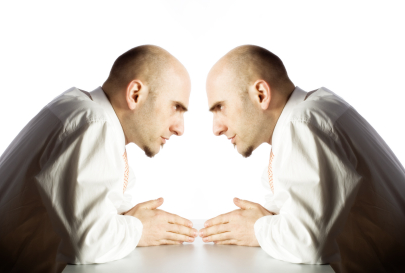 I am face to face , looking straight into my own eyes and I am talking to myself. DeShannon you can do this, this will work, you will be great, people will buy it, people will come, you made the right decision. You are successful, you have everything you need to be better than good, you are great. Thats what I am saying to myself. I need to encourage myself. I need to recall every scripture about who God says I am, and repeat them daily, hourly, second by second. People will turn on you, not in the same way the people turned on King David, but they will turn. I was on Facebook last night and one of the up and coming local comedians had posted a video, she had received many likes, shares and positive comments but then there were the negative ones, they were so derogatory they should’ve been deleted. They had turned. They took the time to watch the video, but felt the need to voice their dislike. This shouldn’t be an issue right, whats a couple of comments? We are a people who follow the crowd, one negative comment turned into two, two turned into four …well you get the picture. When people turn thats when you need to give yourself a good ole’ fashion talking to. I mean lean in, get close and speak to yourself. It’s in these moments that it gets REAL, it’s sink or swim, it’s do or die. The people closest to you ( or perceived to be ) have turned, they are talking, they are plotting, they are wishing failure, they are tired of you trying to promote whatever it is you are doing with yourself this month. David encouraged himself in The Lord – who are you in God. Pull out the ” if God be for you” scriptures. A good talking to can make you realize this IS GOING TO BE OK!